Each year the society holds an annual meeting which includes paper sessions, symposia, posters, a distinguished lecture, business meeting and lots of high quality scientific interaction. These venues are in accord with the location formula of East-Central-West- Central for the annual conference. The Quebec-Atlantic boundaries and the Ontario-Manitoba border define the three regions. Thanks to Aimée Surprenant, Ian Neath, Kathleen Hourihan and their team for organizing the 28th annual meeting, held jointly with the Experimental Psychology Society July 4th - 7th, 2018 in spectacular St. John's, Newfoundland. The weather was great, and the presentations even better! Thanks to Chris Oriet and his team for organizing our 27th annual meeting, which took place June 2nd - 4th, 2017 on the small but mighty campus of the University of Regina. A huge thank you to Charles Collin and his superb team of organizers for staging our very successful 26th annual meeting at the University of Ottawa. 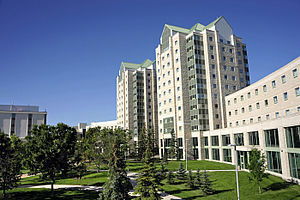 Guy and his team did a terrific job organizing our 25th annual meeting on the beautiful campus of Carleton University. A big thanks to all of you. 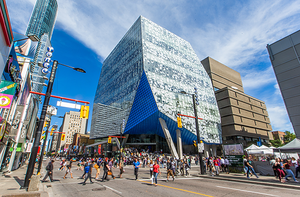 A tremendous thank you to Ben Dyson and his team for organizing the huge, and hugely-successful 24th annual meeting on the sprawling campus of Ryerson University. The CSBBCS executive would like to thank Glen Bodner and his organizing committee for all of the hard work staging the 2013 meeting in Calgary. This was a huge, successful meeting with about 350 registrants. Well done! The CSBBCS executive would like to thank Hans Dringenberg and his organizing committee for all of their hard work putting on our 2012 meeting in Kingston. This was a huge, successful meeting with nearly 400 registrants. Well done! 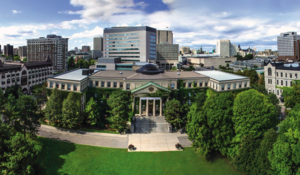 The 2019 conference will be held between June 7th and 9th at the University of Waterloo, Waterloo, Ontario. Registration and abstract submission is NOW OPEN. Please visit the 2019 meeting page. Please login below to renew or reactivate your membership for 2018. The CSBBCS has archived its collection of conference programs, photos, and published abstracts resulting from our annual meetings. View the archive here.